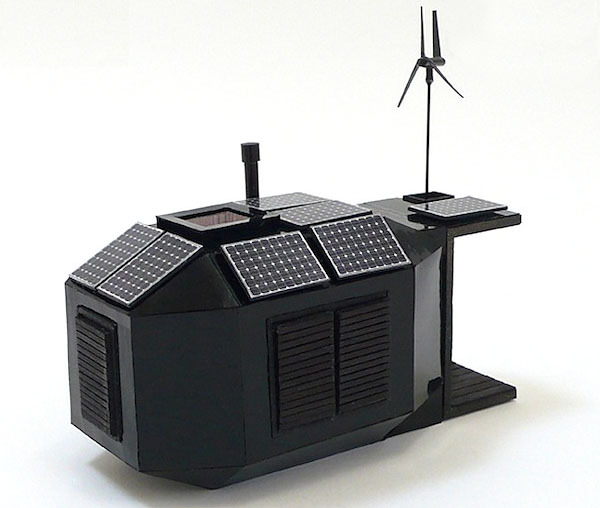 Imagine you are building a temporary office in a remote area where connecting to the power grid is impossible or not practical. 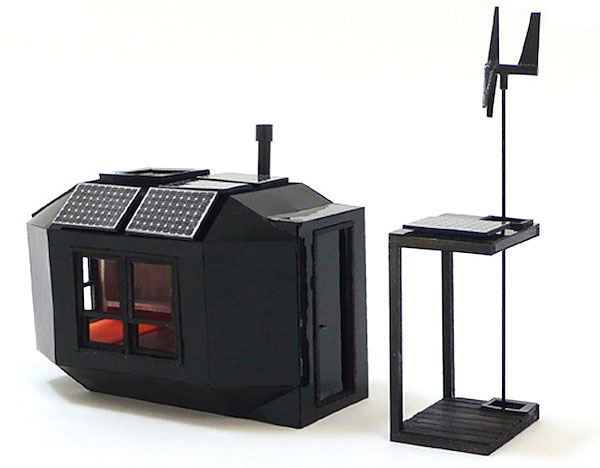 Or, for the 'kick' of it, you want a self-sufficient small office behind your backyard. 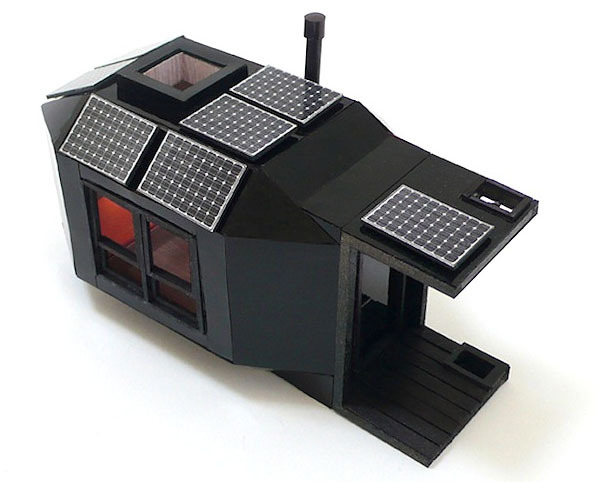 It is modular, so, you can add few units in series to build bigger home/office. The designer calls it the MOSS, a prefabricated 13 foot octagonal structure intended for home office, powered by clean, renewable energy. It has very minimal environmental impact while still providing a comfortable and professional working environment. The main structural frame is laminated tree farm wood and steel connection plates, while the interior consists of insulated panels for energy efficiency. During daytime, lighting is provided by natural light via the provision of 'sunroof'. The rooftop solar panels provide energy for electricity, as well as providing shade from the scorching sun during hot weather. Shading is achieved by slightly lifting the solar PV panels off the roof to provide ventilation. Small wind turbine is also fitted. For further reading, I suggest that you visit inhabitat where you can read the full article. All images were adopted from the website.